There no comparable thing to spending a night in the backyard with concrete fire pits and close to family and friends. Fire is a great place for enjoying and gathering time with the ones that matter most. Two ways of displaying fire in the backyard are through the construction of outdoor fire pits or fireplaces. Every option has its cons and pros depending on your desires and needs. There are major locations to put into consideration while evaluating the best option for the backyard. The available space and the number of people you are planning to entertain at your concrete fire pits is the major factor while deciding your fire pit option. Fireplaces are always bigger and require more space. Due to the design of the majority of fireplaces, they may accommodate seats of four to six people at once facing the fire heath. Concrete fire pits, on the other hand, are smaller in size and require less space. They also have the ability to accommodate a lot of people sitting around the fire pit, depending on the location in the backyard. They may hold up to ten people surrounding the pit in a circle. If you are doing so much entertainment and have a lot of people regularly hanging out beside the open fire, or have a backyard that is small, concrete fire pits could be your best option. Conversely, if you possess a big space that can accommodate large fireplaces or it is rare to entertain more than six individuals at the house, constructing a fireplace could be a good option for you. Budget is yet another concern while deciding on concrete fire pits features. Fireplaces tend to be more costly with their cost being in thousands of dollars while fire pits tend to be more cost-effective to construct. The other thing you can consider is that when you want to construct fireplaces, you should be having couches, chairs, and tables, which will give you another budget concern. Consider the amount of privacy you desire in the backyard plus the view you desire in the backyard. Since a fireplace is bigger, it will offer you more privacy as compared to concrete fire pits. Fire pits are smaller and may assume any shape like square, round, or any other shape you desire. They will not add privacy to the neighbors since they are in open spaces in the backyard. The way you want to view the backyard is also a factor to put into consideration. 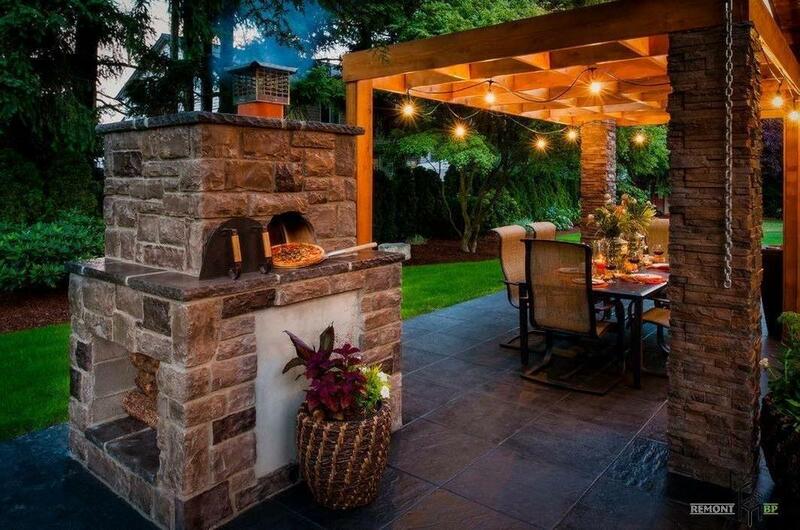 If you desire an open view that has a few structures that block things, concrete fire pits are great additions because they are short and small, leaving you with an open view. Fireplaces may block your view contingent to its location. In case you are putting it on the perimeter of the backyard, it will not be an issue because it is out of your way, and just like other projects, the placement and backyard of the structure will assist in determining your best option. The designs and looks of concrete fire pits and fireplaces will help you decide on the best options for the backyard. There are a lot of options that will offer you the feel and look that you desire. Concrete fire pits have diverse design options. However, since they are smaller in structure, they are kind of limited as compared to fireplaces. You may do a round or square fire pit or use hand carved or precast concrete blocks. You may add designs to it by the addition of lava rock, recycled glass, or artificial logs in the middle of the bowl and give it a visually appealing look.